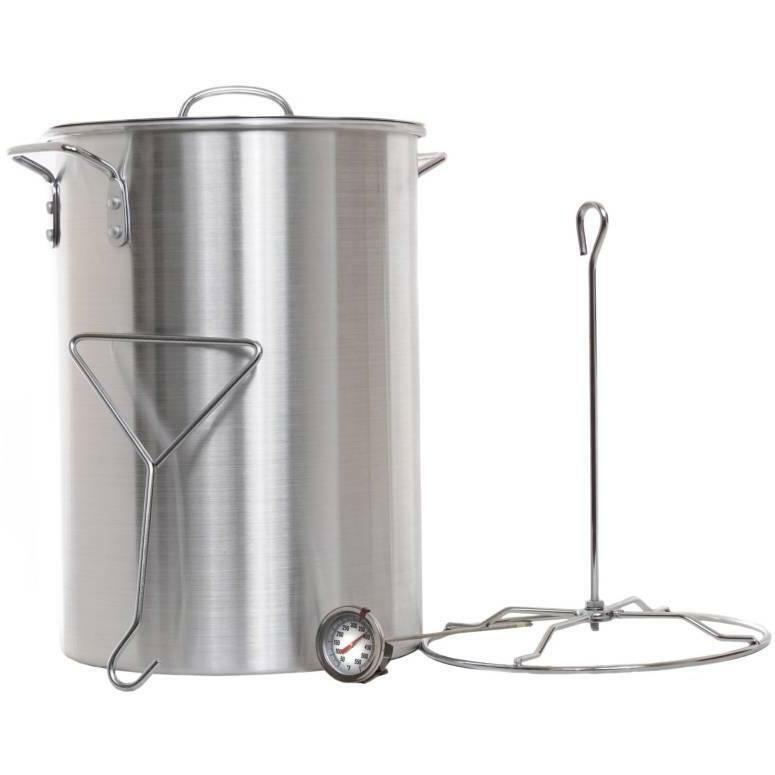 Product Description: 28-Quart Aluminum Turkey Fry Pot Set With Turkey Rack, Lifter & Thermometer - GL10145A. The Cajun Cookware turkey fry pot includes the aluminum turkey fry pot, lid, 12-inch thermometer, plastic injector, turkey rack and rack lifter. 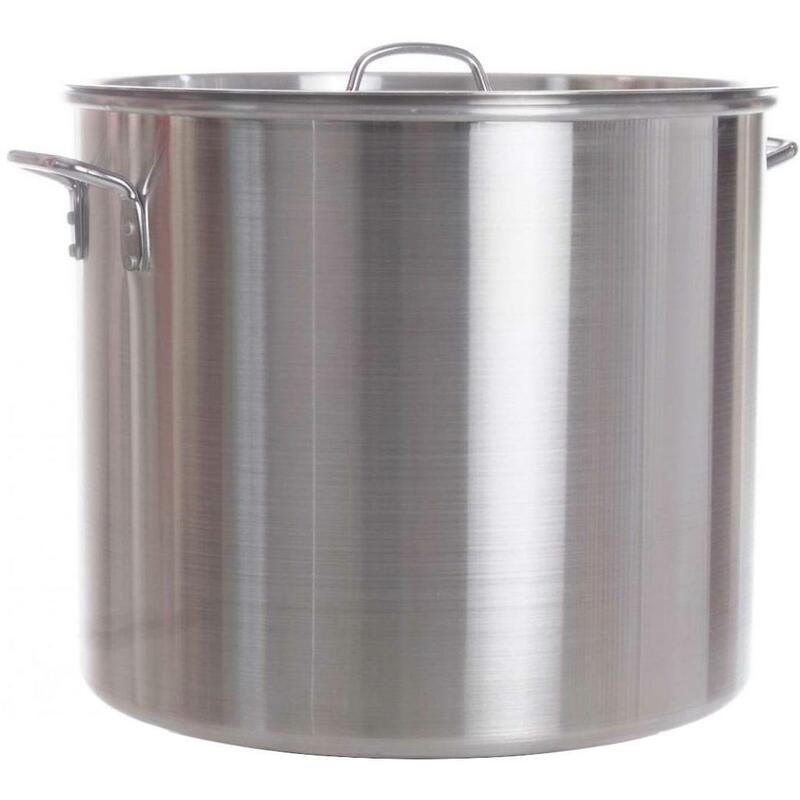 Interior of the Cajun Cookware turkey fry pot measures 16 inches tall x 11 inches wide.